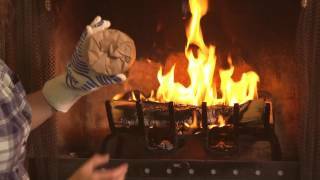 Prevent dangerous chimney fires with the Pine Mountain Creosote Buster Firelog designed with First Alert™, the most trusted brand in home safety products. Used once per season, Creosote Buster firelog reduces creosote buildup and the chance of a home heating fire, the second leading cause of home fires. Active ingredients in Creosote Buster™ firelog begin attacking the creosote. Creosote build-up can cause a dangerous and potentially life-threatening house fire. Help to reduce dangerous creosote by burning Creosote Buster™ firelog every 40 fires.